With this Ugly Reindeer Holiday Dog Sweater your dog can stay warm while looking cool in this fun and festive dog sweater from Pawslife. Limited Selection, available in Medium Size Only. 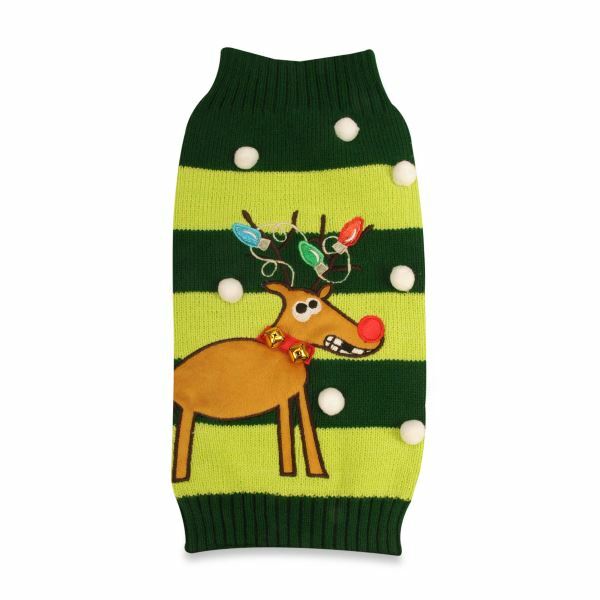 This Ugly Reindeer Holiday Dog Sweater will evoke smiles and compliments. 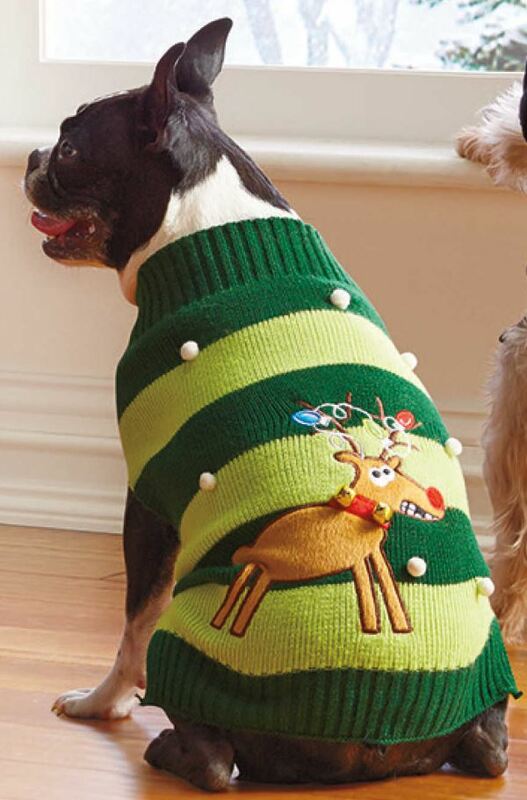 The "ugly" holiday sweater craze has been a growing trend that has finally made its way to the pet world. Your dog can now join in the fun growing trend of wearing flamboyant holiday sweaters with an eye-catching Pawslife Ugly Holiday Pet Sweater. 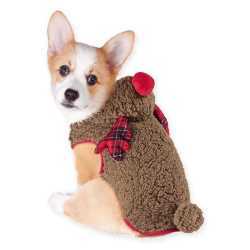 Ideal for keeping your dog warm on chilly weather days. 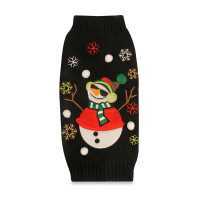 The sweater has a ribbed collar and waist for a good fit. Material is 92% acrylic / 8% polyester. Measure your dog from the base of the neck to the base of the tail, then match sizing below.